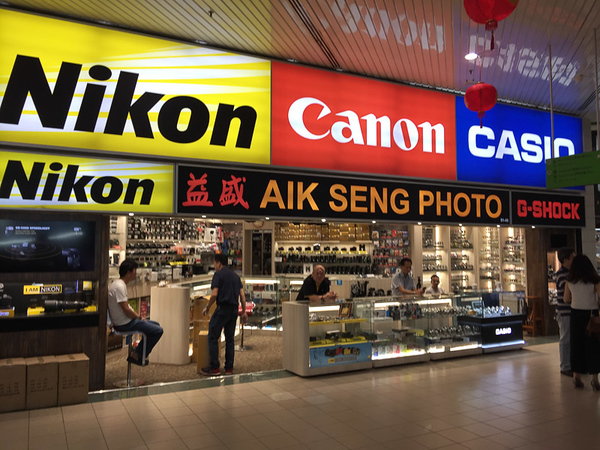 Visiting Singapore and looking for camera gear? This guide’s got you covered. 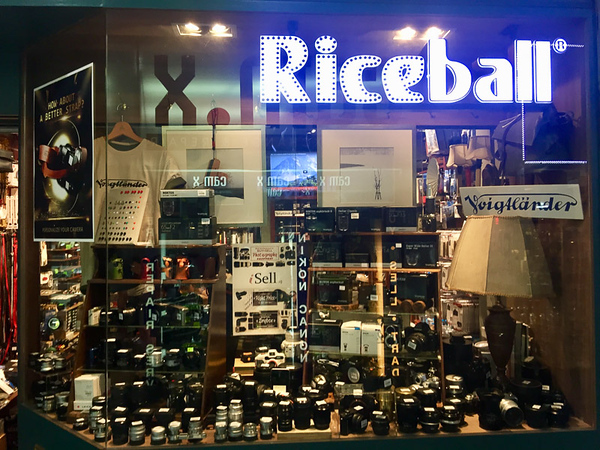 Rather than list every known camera store in town, instead this guide will focus on the citie's two best-known locations where the locals go to shop. 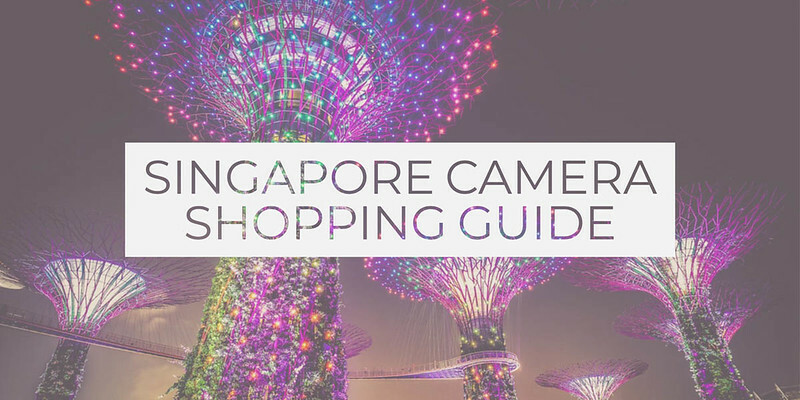 If your unsure about shopping in Singapore, here's a few basic tips to get you started. As a tourist in Singapore, if you make any purchase of more than S$100 (including GST) at participating shops, you may claim a refund on the 7% Goods and Services Tax (GST) paid on your purchases. You are entitled up to 3 same-day receipts/invoices from shops bearing the same GST registration number to meet this minimum purchase amount of S$100. 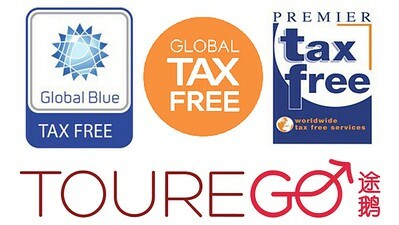 To know whether a shop is participating in the Tourist Refund Scheme (TRS), look for a “Tax Free” shopping logo or sign displayed at the shop. You can then claim your refund later when departing Singapore at Changi Airport. Typically speaking, any electronics purchased in Singapore will have a warranty that is only valid for there. A number of manufacturers, however, have a system known as TLW (Tourist Limited Warranty). The TLW is a warranty that is issued to customers at the point of purchase, so be sure to inquire about it whenever purchasing brand new equipment. The terms of this warranty differ from brand to brand so it will be something that needs proper researching. Getting ripped off or scammed is generally something that shoppers need not worry about in Singapore. 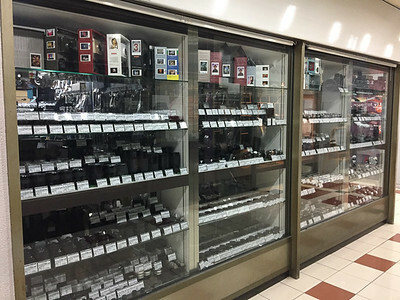 Although it's not difficult to find stores selling cheap Chinese goods, you will be hard-pressed to find fakes for sale due to strong clampdowns on such behavior. The best thing, however, is to just use common sense. If a deal seems too good to be true....well you know the rest! One of the locations listed below (Sim Lim Square) is the only location where you should exercise mild caution. See this guide on how not to get ripped off at Sim Lim. Singapore has never been known as a 'cheap' city, and this rule certainly applies when purchasing electronics. For visitors from the US or other well-known electronics meccas like Hong Kong and Japan, you may find it much more costly than purchasing at home. For those coming from highly taxed regions like Europe or Australia, suddenly the prices seem more reasonable. For brand new equipment, I always recommend that people check the prices online first through a giant online retailer like Amazon.com in order to properly gauge the price difference. Similarly, for second-hand equipment, KEH.com is a good price comparison website. 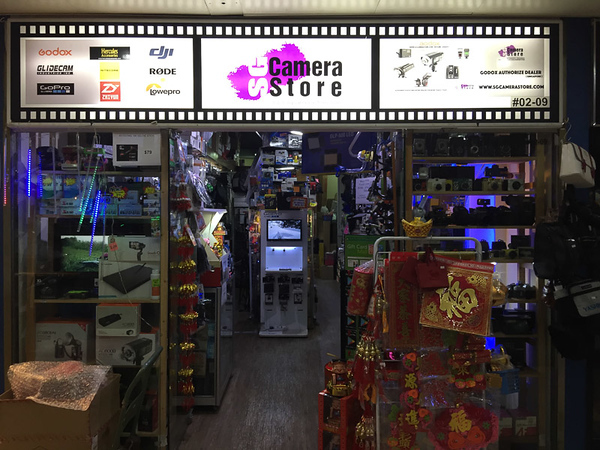 Likely your first and last stop, Peninsula Shopping Centre is a small arcade located near Clarke Quay with a cluster of independent camera stores that mostly specialize in used equipment and accessories. All you will ever need can be found here. 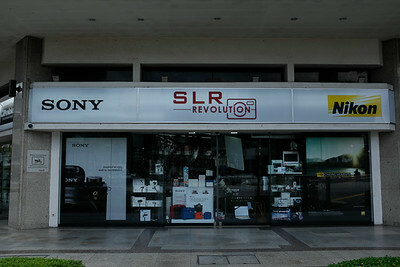 On the outside corner of the shopping center (corner of Coleman & Hill St) is SLR Revolution. 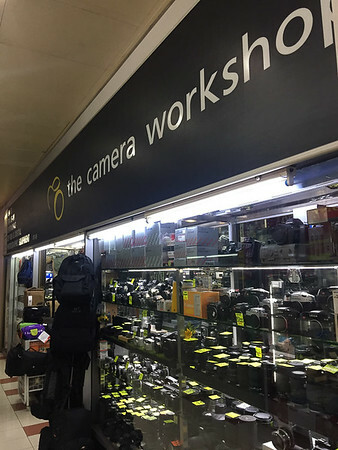 A modestly sized pro store that specializes in Nikon and Sony DSLR gear alongside pro lighting equipment, bags, and tripods. Really friendly and helpful staff. 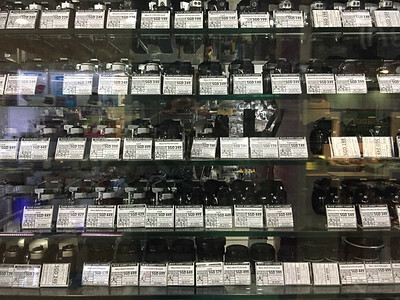 They also stock a modest range of other brands including Hasselblad, Olympus, Panasonic & Canon. 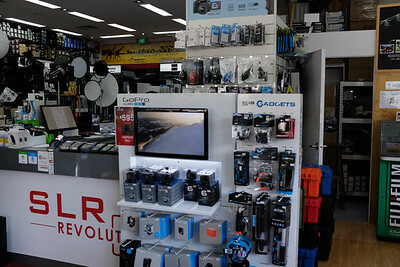 Second-hand dealers stocking a range of digital and film equipment. Lots of old rarities to find here like medium and large format cameras, alongside a decent selection of Leica cameras and lenses. A real treat for film shooters. Another real gem of a store. 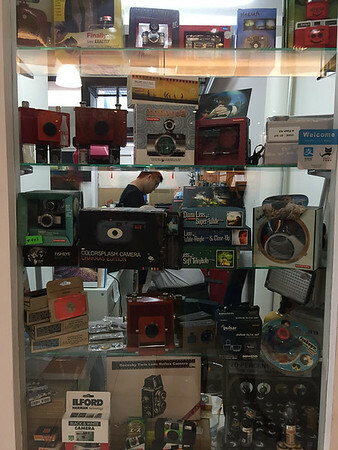 Camera Workshop has a huge range of second hand digital and film equipment. 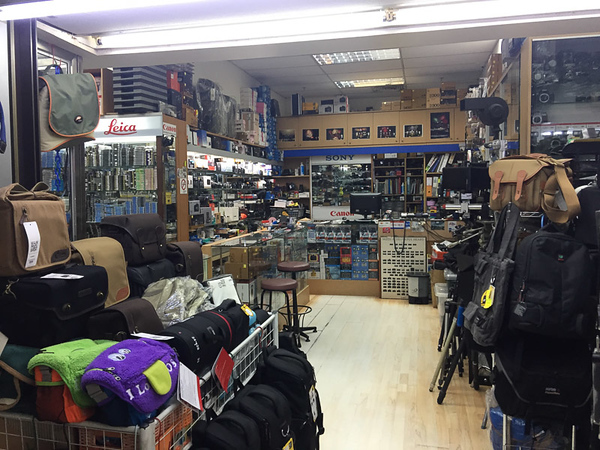 They also stock second-hand bags, filters, tripods and other accessories. Definitely worth checking out. You can also trade-in equipment here for cash. This is another small shop hidden away in one of the corners of the mall. 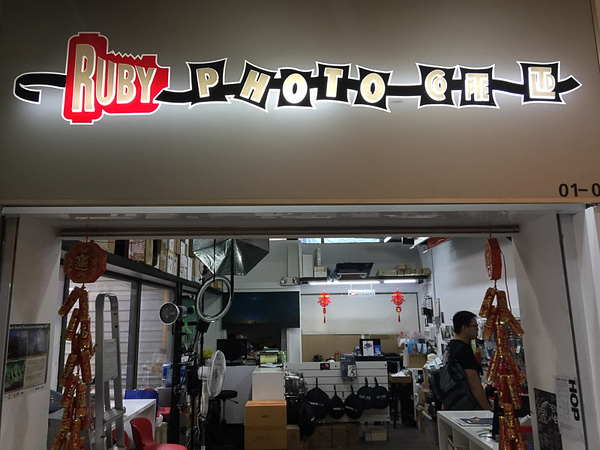 Ruby Photo is one of the best-known places for all your film-related needs. Besides providing Dev+Scan services they also stock a decent range of film, darkroom and development materials. I absolutely adore this little shop. 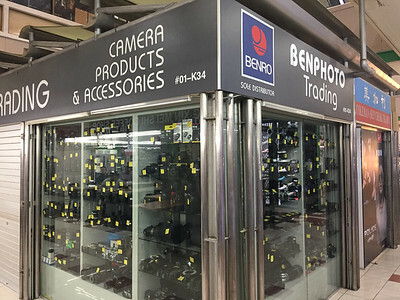 Like the other stores in this list, they have their own small collection of second hand cameras/lenses for sale, but the real reason to visit is for their extensive collection of photography books. They have stock (at my time of visiting) of such books as "Magnum Contact Sheets" & "The Decisive Moment" . 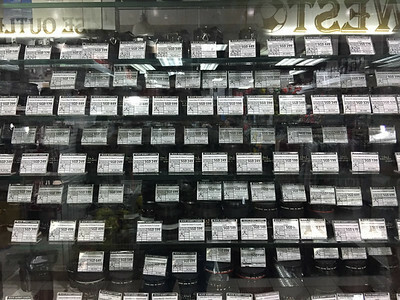 They also have stock of many brand new Voigtlander lenses, among a healthy display of various camera straps and premium shoulder bags. This is the place to come for all your accessory needs. 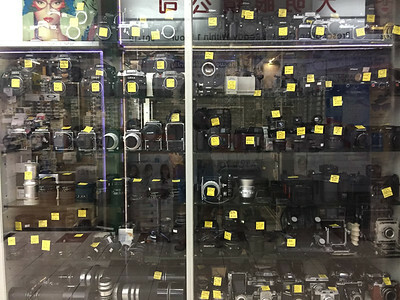 Lots of cheap Chinese produced accessories like spare lens caps, remotes, cables, batteries, flash accessories and video lights. Fantastic store. This is the big one. 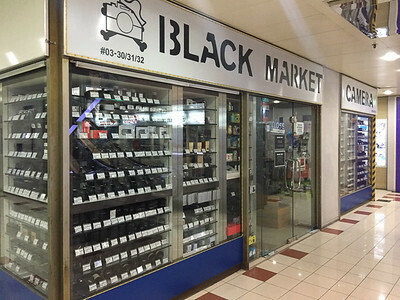 Black Market Camera (despite the name) is likely the best store in all of Singapore. 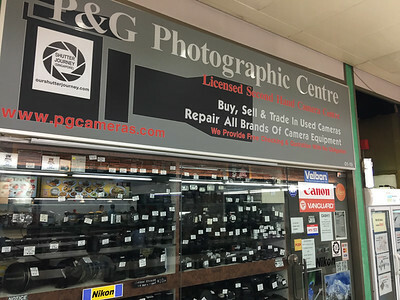 They have an insane range of second-hand cameras and lenses across all brands, both for digital and film. Everything is neatly displayed with a rating scale, so you can easily view gear rated from worn to mint condition. 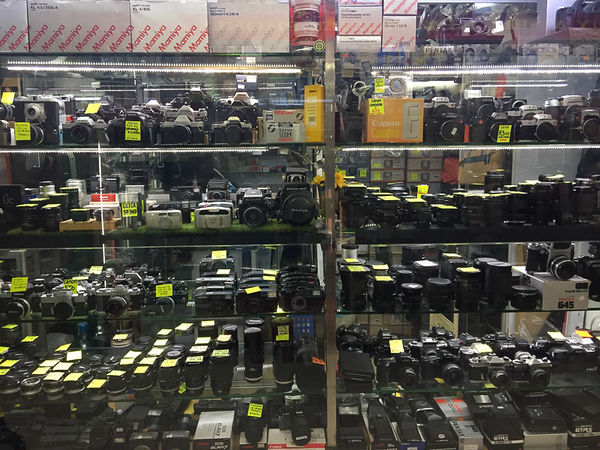 They are a great place to buy used accessories like battery grips, flashes, teleconverters, and adapters. I should also point out that they stock some rarer brand new lenses from brands like Samyang, Voigtlander and Zeiss. 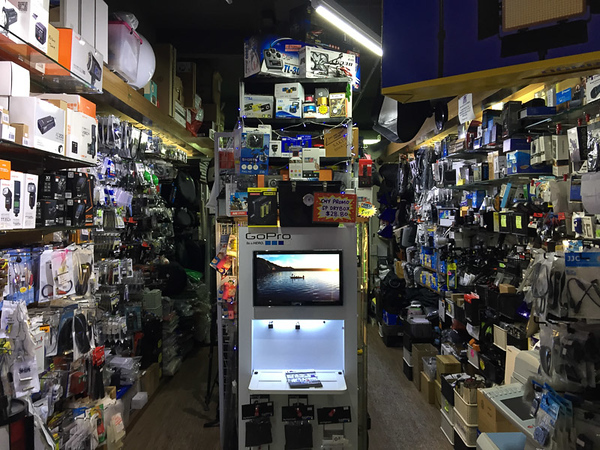 Furthermore, they are one of the best places for buying brand new accessories, drones, video gear, bags, lighting equipment and film. They have one of the largest selections of filters I’ve ever come across. Just across the road and directly opposite to Peninsula Shopping Centre is the Peninsula Plaza. When entering from Coleman St, take the first corridor that snakes around to the left to find the few worthy camera stores in this mall. 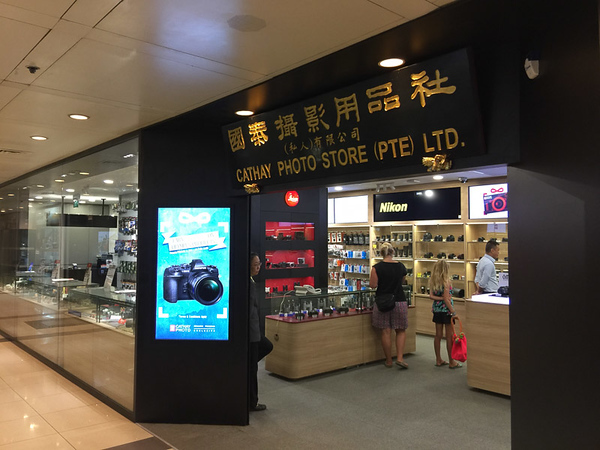 One of the best known stores in town, Cathay Photo have a number of locations around Singapore, however for convenience sake I'm just listing the Peninsula Plaza store. 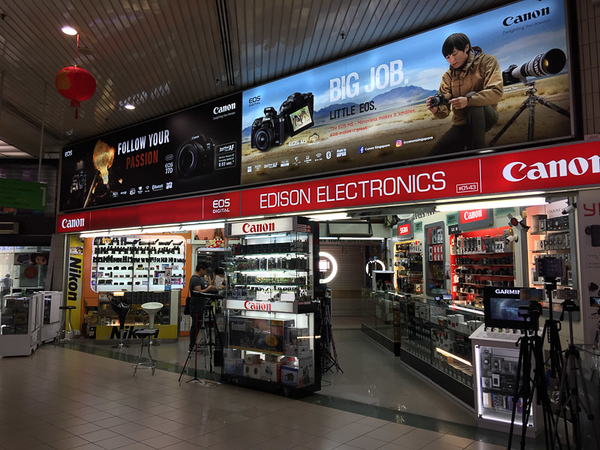 Cathay stock all major camera brands and are a trusted Leica dealership. Staff are extremely friendly and helpful, more interested in finding you the right product rather than try and oversell. 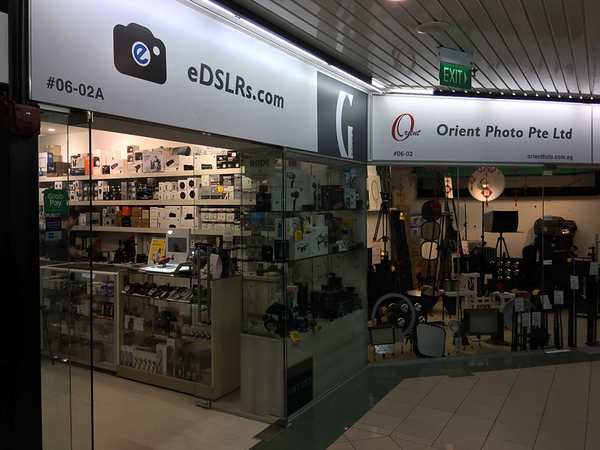 This store is recommended for those looking to purchase brand new DSLRS or lenses. 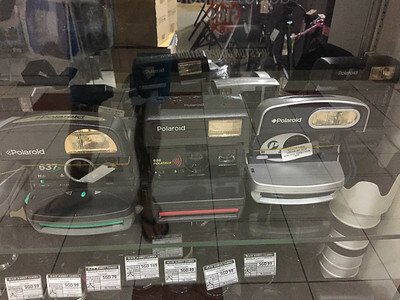 Located right next-door to Cathay Photo, this small store is stuffed full of second hand equipment. Amongst the old film gear is quite a healthy selection of more modern used DSLRS, lenses and flashes. Prices seem quite reasonable too. 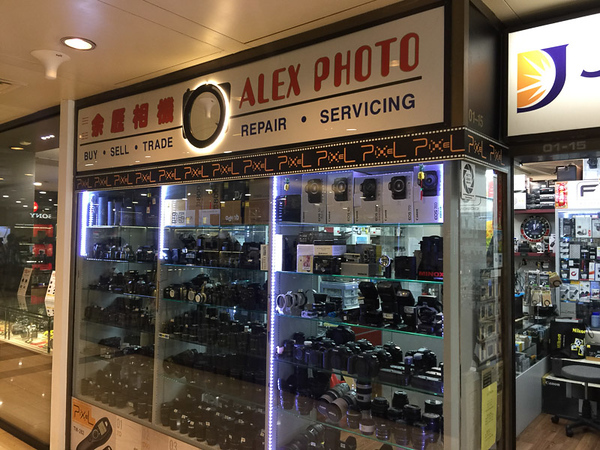 In addition to accepting trade-in's, Alex Camera is a also a camera repair and service centre. 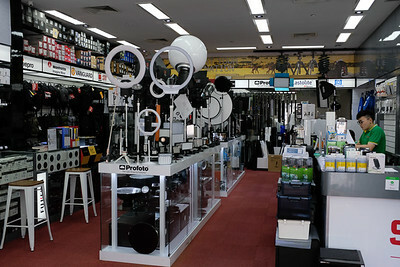 There are numerous camera stores to be found on the ground floor. Unmissable due to the insanely huge signs. Worth a visit if you are trying to price an item up, but I would generally avoid these stores. They do tend to over-inflate their prices and personally, I find the sales staff quite pushy. The only other ground floor store worth a mention is Song Brothers. A boutique store, they stock various premium brands such as Artisan, Peak Design, and Billingham. If you’re into bags and straps then this is the store to visit. 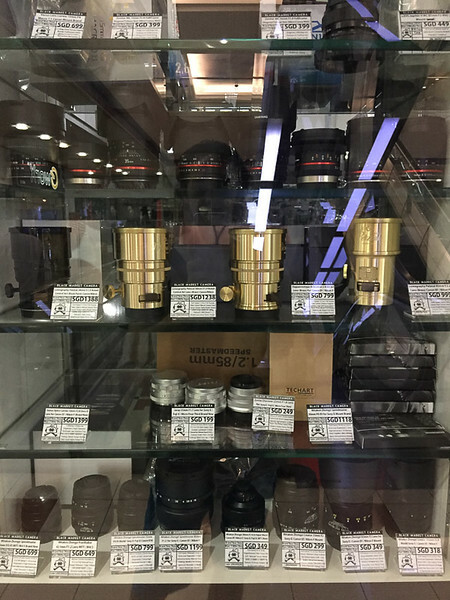 Decent range of Sigma, Tamron, and Samyang lenses, along with Chinese produced gimbals and stabilizers. These are much cheaper versions of their DJI counterparts. 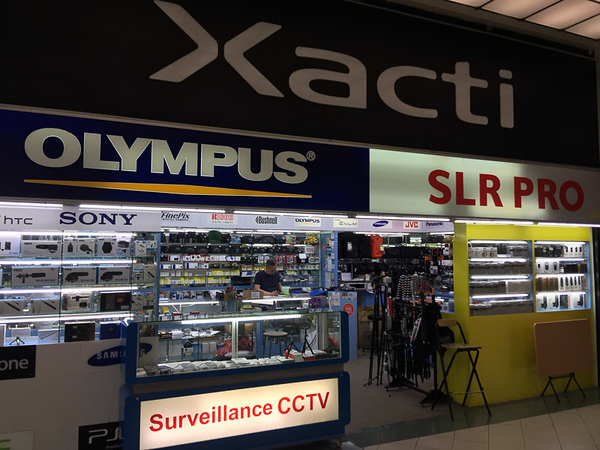 Another small-ish store, not much in the range of cameras or lenses. Mostly bags, lighting equipment tripods and other small accessories. Only worth checking out if you’ve made it this far up through all the floors in Sim Lim. 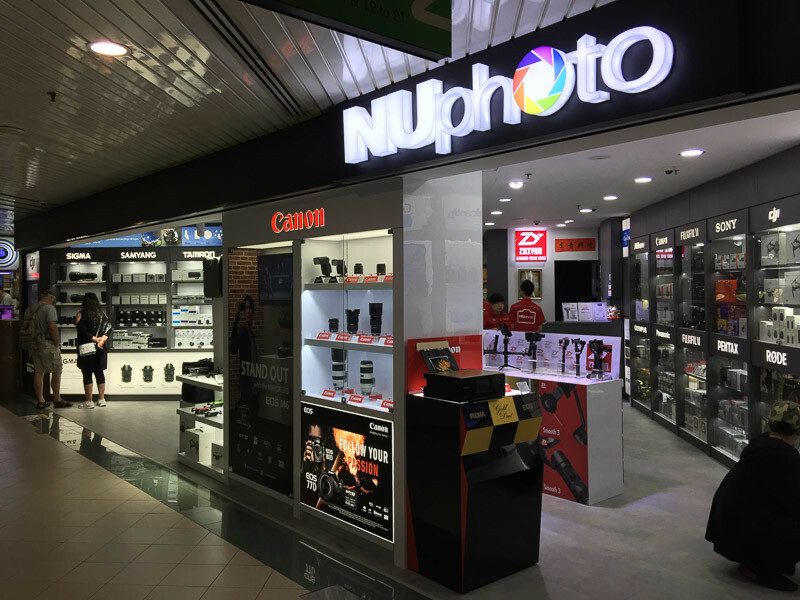 Naturally, there are many more camera stores dotted around Singapore, but really there is little need to run around when these two locations have all your needs covered under one roof (or two as is the case with Peninsula Plaza/Centre). In terms of other large retailers, there are a few more stores in shopping malls such as Plaza Singapora & Marina Square. 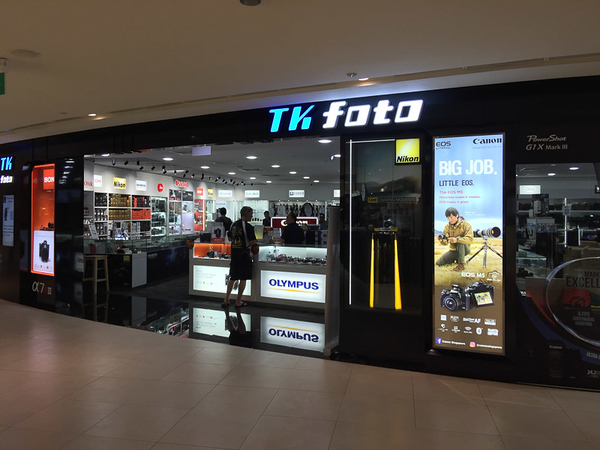 Namely stores like TKfoto on the 4th floor of Plaza Singapora. TKfoto is a well respected name amongst local photographers. 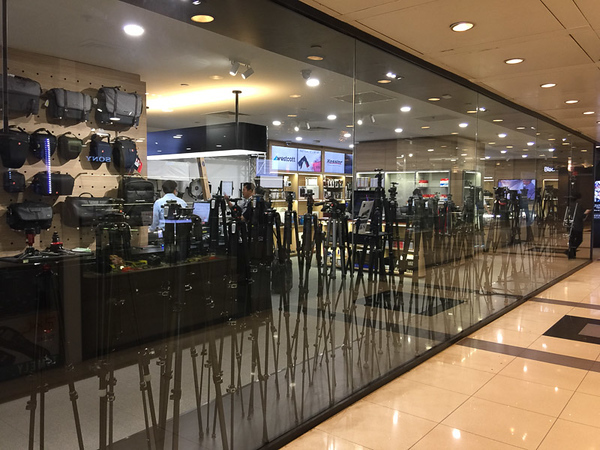 They are also one of the few stores with a hands on area so you can test out the latest models of Sony, Canon & Nikon cameras. In addition to this, there is a small drone test pilot area if you fancy having a play with the latest tech from DJI. 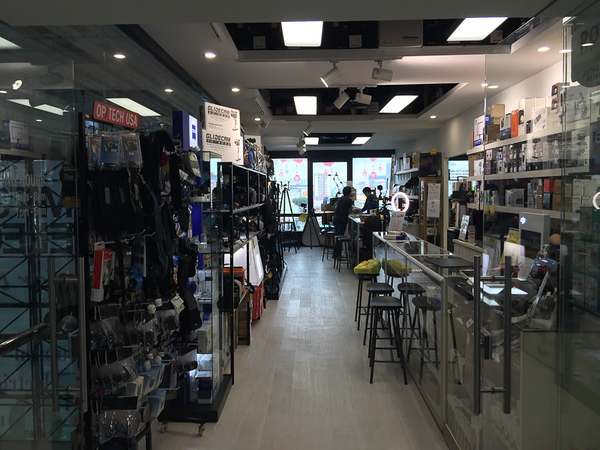 Looking for camera equipment in Hong Kong? 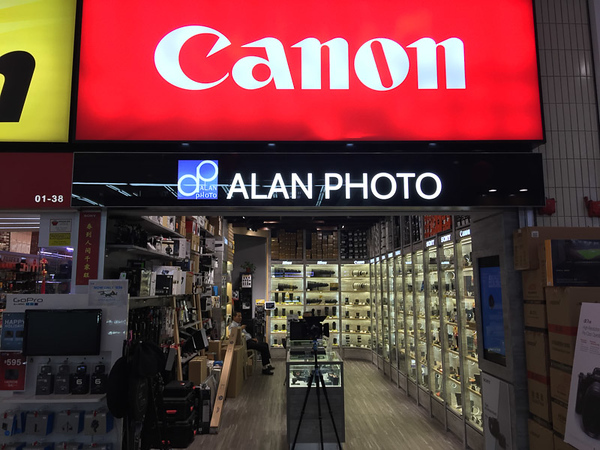 Check out my comprehensive Hong Kong Camera Shopping Guide. NEXT - ARE PHOTOGRAPHS LOSING THEIR VALUE?